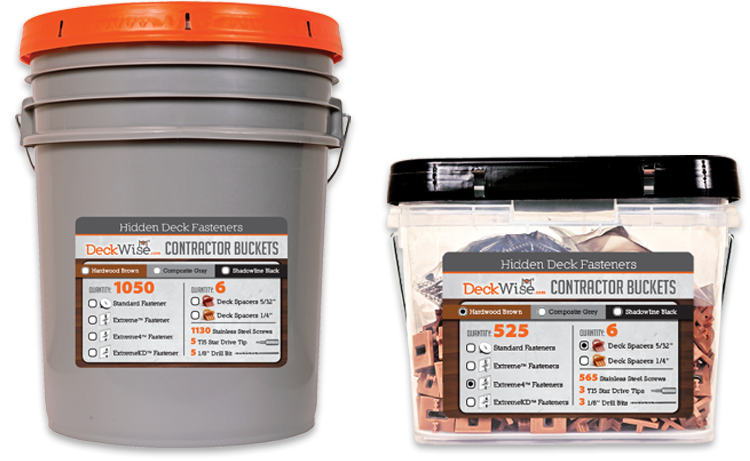 The Ipe Clip® ExtremeKD® Hidden Deck Fastener System features a Quick & Easy installation process because all the work is done from the top-side of the deck so there is no need to stand on your head during the installation of the deck. The installation process is made even more simple because Ipe Clip® ExtremeKD® Hidden Deck Fasteners automatically set a 1/4" [6,4 mm] gap spacing between the installed deck boards. 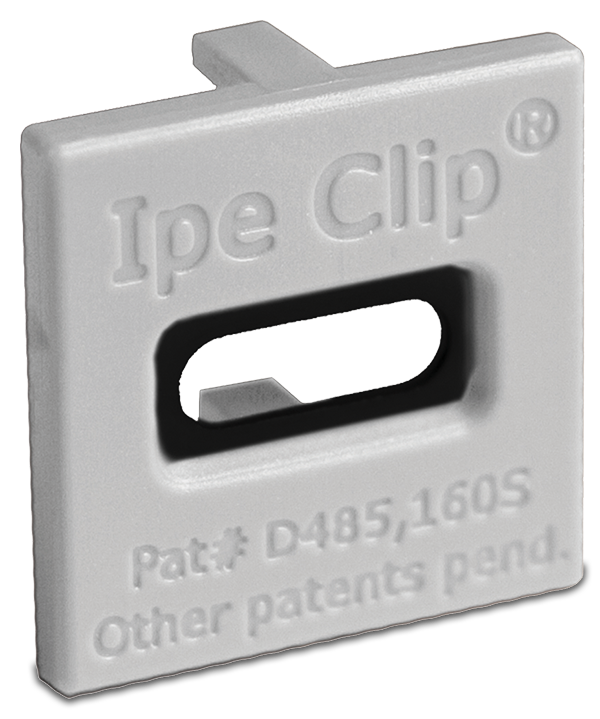 No gap space measuring is needed when you choose Ipe Clip® Hidden Deck Fastening systems. 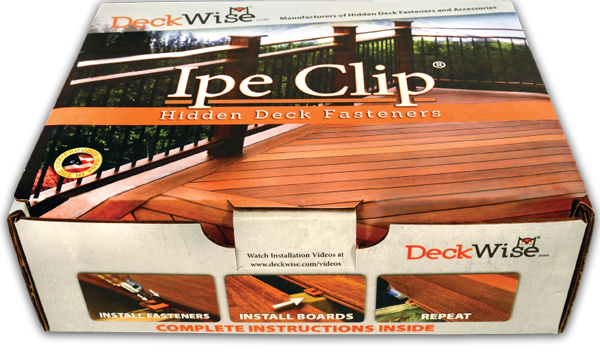 The reason Ipe Clip® ExtremeKD® Hidden Deck Fasteners set a larger gap between deck boards than Standard Ipe Clip® Hidden Deck Fasteners is because different decking materials require different gap spacing. For example kiln dried or composite material will expand on its width more than air dried material so a larger gap space between boards is required. The Ipe Clip® ExtremeKD® is made out of a pliable material with a hollow leg that compresses for use with kiln dried hardwoods or composite materials that will expand on their width. U.S. Patent Numbers 8,464,488 and 8,806,829. Original, “round”, STANDARD Ipe Clip® - U.S. Patent No. D470,039. Strength: Ipe Clip® fasteners are manufactured from a UV Resistant High Strength material, giving Ipe Clip® fasteners up to three times the strength of other fastening methods. By using our high strength material, Ipe Clip® fasteners have increased holding power, and help prevent screw heads from being overdriven, as can be a problem with other lesser quality fasteners. 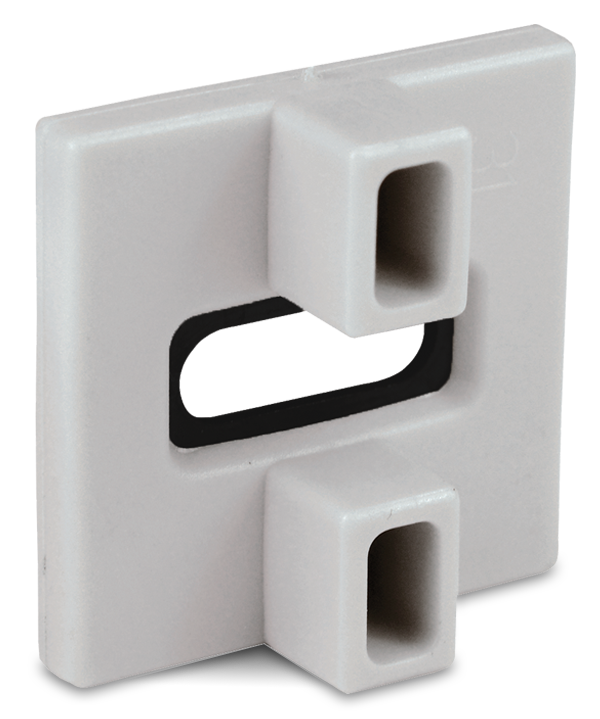 Shape: Due to its size and shape, Ipe Clip® fasteners speed installation and eases installation problems associated with other hidden fastener methods. The smaller shape allows for approx. 1” of tolerance in the positioning of the slots cut by a biscuit jointer. Other hidden fastener methods do not allow for any tolerance in the cutting of the biscuit slots, which complicates and slows installation. 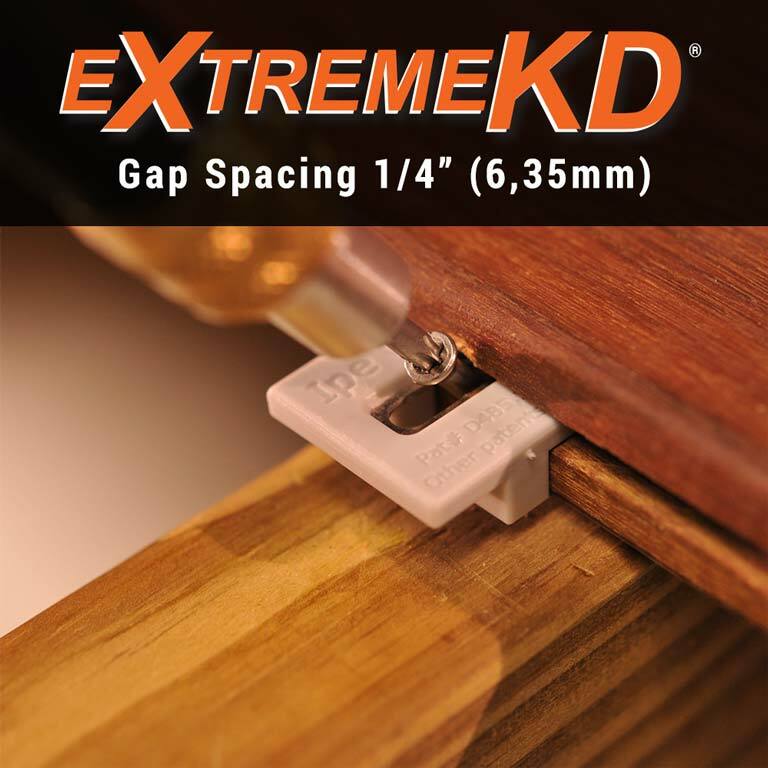 Insert: Every one of our ExtremeKD® edge mount fasteners are designed with a hardened stainless steel, black oxide coated insert inside a rigid UV and chemical-resistant polyethylene mold. Legs: The Ipe Clip® ExtremeKD® has been specially engineered with hollow legs that act as shock absorbers as kiln-dried materials expand and contract. The method of 45 degree screws hold the decking tight to the joist, while allowing one side of the deck board to remain free to expand. Running screws straight down with composite/PVC decking allows these materials to naturally move on their length. If using 1-1/2" or thicker material, you may need to upgrade to a longer screw option than what is typically packaged with the fastening kit. ** For decking 8" or wider, the (A) dimension should be at least 1-1/2". Using a wide plank such as this for surface decking will most likely cause cupping issues regardless of how the material is fastened if thicker material is not used. *** This formula will create a symmetrical profile that allows you to flip and/or rotate the decking to be able to put the best side up. **** Fastener automatically achieves correct gap spacing when boards are pushed tight during installation. © 2001 - 2018 THE IPE CLIP® FASTENER COMPANY, LLC All rights reserved.